Windows 7 file sharing is easy! 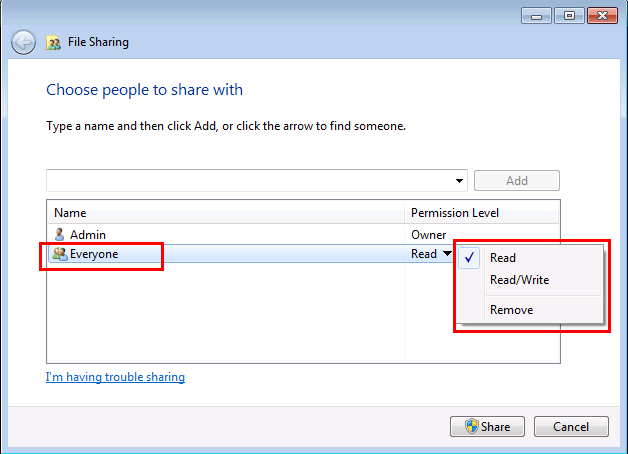 The easiest way to share something in Windows 7 is using the new Share With menu. You will see different options depending on the file you're sharing and the type of network your computer is connected to. NOTE: I strongly recommend that you use this method only if your having difficulty sharing a specific file and want to only share it right there and then. Soon after you complete the task of sharing something, you should immediately turn password-protection back ON or not share the file at all. Please see my tutorial on password-protected sharing. 2.) 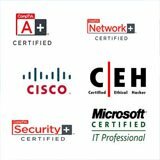 Make sure that there is a check next to File and Printer Sharing for Microsoft Networks. It must be checked in order for file sharing to work on this adapter. 3.) 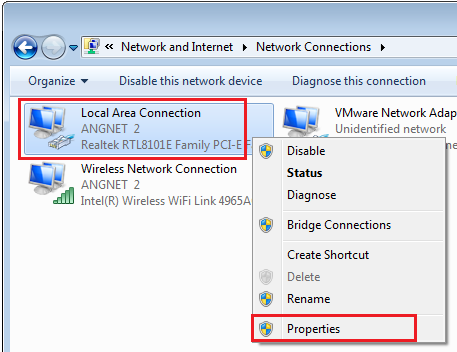 Back on the Network and Sharing Center window, make sure the correct network location type is selected. 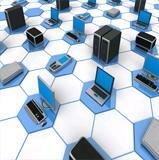 This will allow your firewall settings to correctly allow file sharing. Mine is set to Home Network. 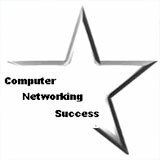 Also make sure that all computers have their own unique computer name and are joined to the same workgroup to avoid any conflicts later on. 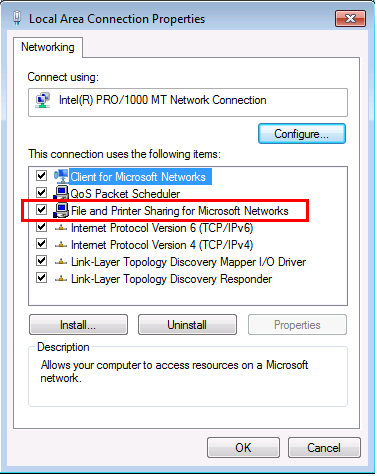 NOTE: Enable Network Discovery to allow your computer to find other computers on the network easily. Now let's share a folder using the Share with menu. NOTE: If you don't see the Share with menu, you might be trying to share an item on a network or other unsupported location. It also won't appear when you select files outside your personal folder. Homegroup (Read). This options shares the item with your entire homegroup—but only to open the item. Homegroup members can't modify or delete the item. Homegroup (Read/Write). This option shares the item with your entire homegroup to open, modify, or delete the item. Specific people. 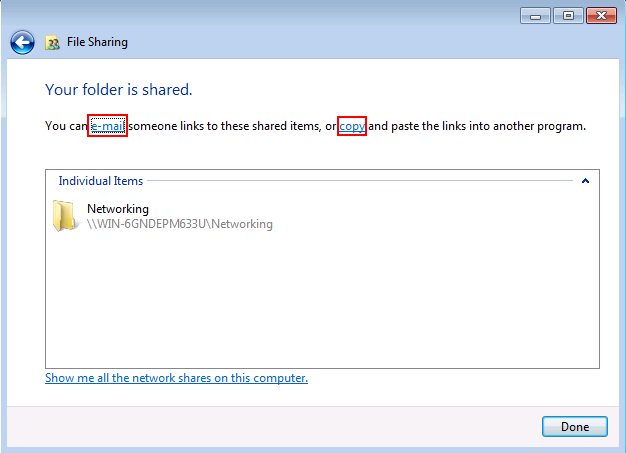 This option opens the File Sharing wizard, which allows you to select individual people to share items with. 8.) 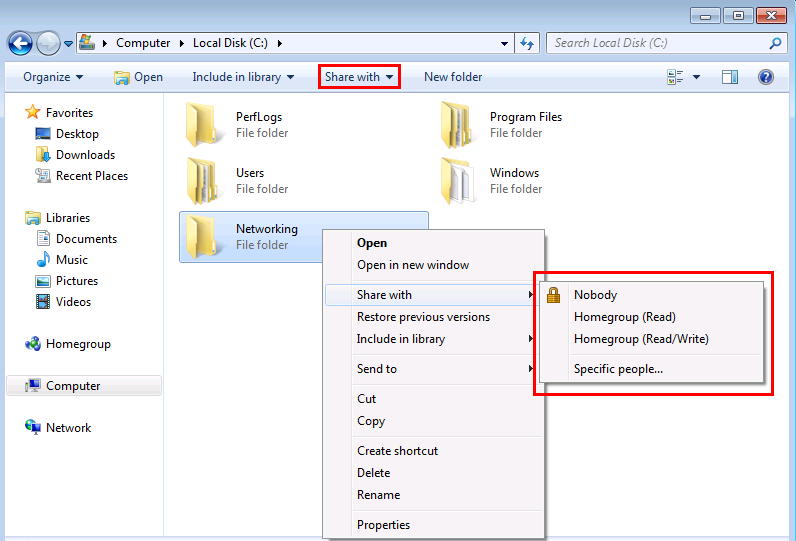 The Windows 7 File Sharing wizard opens, type in the name of the user or group that you want to share the folder with. You can select the permission allowed to this user. Select Read only. Read - Can open a folder or file but not can't modify or delete the file. Read/Write - Can open, modify, or delete the file. 10.) In the next window, it is confirmed that your folder is shared. To let people know how to access the folder you can click e-mail to send someone a link to your shared folder or you can click copy to automatically copy the link to the Windows Clipboard. 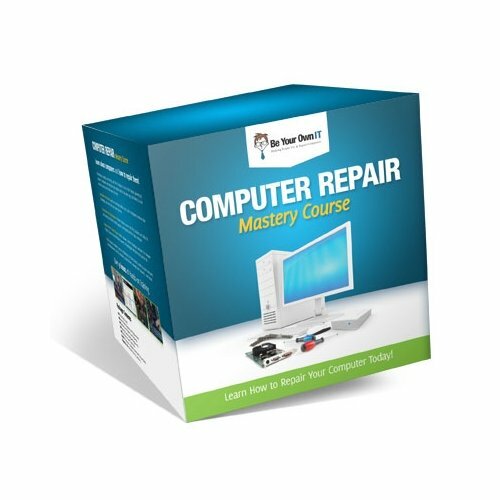 You can now paste it into your e-mail message, instant message or any other program. 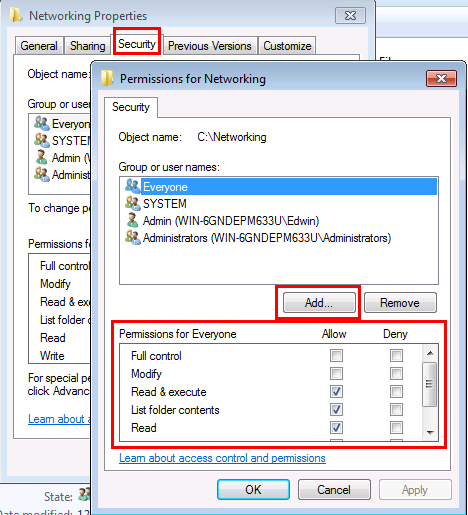 NOTE: You can change the permissions and who can access the shared folder by right-clicking the folder and clicking Properties. Now click the Security tab and click Edit. After the new window opens, click Add so you can allow access to other users and groups. You can edit the Permissions for each user or group. Tick any permission to Allow or Deny. Windows 7 file sharing is now complete. Enjoy! 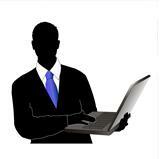 Follow this link to learn how to access a shared folder or file on another computer.